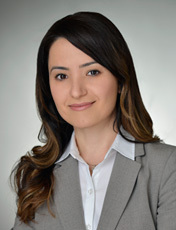 Ms. Ksachikyan joined Valle Makoff after nearly ten years of practice at O'Melveny & Myers specializing in e-Discovery and complex litigation discovery. Ms. Ksachikyan has experience managing large teams of attorneys in processing, reviewing and producing millions of documents for complex litigation cases, including securities, intellectual property, RICO, conspiracy, and antitrust matters. Ms. Ksachikyan has coordinated the work of various service providers and technology-assisted review vendors. She is proficient in a broad range of e-Discovery hosting and review tools including, inter alia, EED, iConect, Concordance, Ringtail, Attenex, Xerox, Discovery Radar, Kroll Ontrack, Stroz Friedberg and Relativity. Ms. Ksachikyan is also licensed to practice before the US Patent & Trademark Office and has represented clients in patent prosecution and other intellectual property matters. Ms. Ksachikyan's practice also includes pro bono work. She has represented clients in Holocaust Reparations programs. And, for more than five years, Ms. Ksachikyan managed a pro bono program, including co-authoring the course manual, which provides mandatory continuing legal education (MCLE) seminars to attorneys representing immigration detainees at bond hearings before the immigration courts. Ms. Ksachikyan has participated in annual roundtable discussions with the Los Angeles Immigration Court judges and leading pro bono service providers in the community, on increasing pro bono representation in the courts. Ms. Ksachikyan received her J.D. in 2002 from Loyola Law School of Los Angeles. She received a Bachelor of Sciences Degree in Physiological Sciences, with a minor in Armenian Studies, in 1999 from the University of California at Los Angeles. Ms. Ksachikyan is fluent in written and spoken Armenian, and is a member of the Armenian Bar Association.